The Federal Reserve came out of its most recent meeting about as dovish as it could get. This is marked change from where it was in the fourth quarter of last year. As it unwound its portfolio of mortgage-backed securities and kept a keen eye on inflation, many market sectors were wondering how they were going to keep growth going after the steroid shot of a tax cut. But December changed all that. The Fed backed off its intent to raise rates as planned in 2019. And it would hold on to its portfolio. And the markets have been feeling good ever since. However, it recent announcement that it has no plans to raise rates or sell anything in its portfolio has actually frightened the markets. Now, investors are worried that the economy may be weaker than we expected and that 2% growth may not be as easy to get as anticipated. And today’s manufacturing PMI sliding to 21-month lows reinforces that. But the 7 A-rated stocks for Q2 that follow will be top performers because they’re best in class stocks in well-performing sectors. CyberArk Software (NASDAQ:CYBR) is a cybersecurity company that’s based out of Israel but has clients all over the globe. Its claim to fame is its privileged-access security software. Privileged accounts are the most secure properties that exist in most organizations. 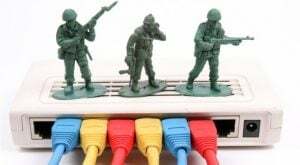 And when those organizations are storing very critical data like financial institutions, healthcare companies, utilities and other enterprise organizations that have significant amounts of these types of accounts, it’s crucial that they’re secure internally and externally. And this is CYBR does. It also offers other products, but this is the hub of its cybersecurity wheel. As we see bigger and more sophisticated hacks of major databases and the information inside those databases, more and more companies are doing their best to avoid being the next embarrassing headline. The A-rated stock is up 138% in the past 12 months, which is testament to the growing global demand for CYBR’s platform. 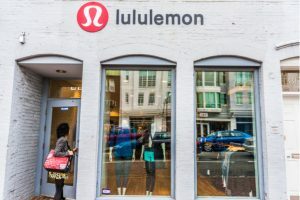 Lululemon athletica (NASDAQ: LULU) is an upscale sportswear company that pretty much coined the term ‘athleisure’. What LULU has done very well is know its customers and maintain control of its brand. Its products are not cheap. But that’s the point. They’re well made, and by not distributing them outside of its own retail shops and e-commerce site, it has been able to keep prices where it needs them to be. Bigger brands in the market have massive distribution networks, which means pricing premiums are harder to maintain and that makes it tough to control margins. LULU has built a great and growing customer base and has patiently expanded its market in to menswear. LULU stock is up more than 80% in the past 12 months, yet it still trades a trailing P/E of 51. That’s amazing given the growth potential out there and how well run this company is. First BanCorp (NYSE: FBP) is a Puerto Rican bank that has been in business since 1948. It also has operations in the U.S. and British Virgin Islands. While the recent devastating hurricane is still fresh in our minds and the Caribbean — in particular Puerto Rico — is still recovering, the fact is that redeveloping the island is underway. And that redevelopment means money has to start flowing in. 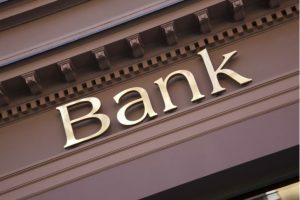 That’s why being one of the top local banks is a great position to be in right now. Also remember that other islands were affected by the hurricane and Puerto Rico is a big financial hub for other Caribbean islands. This increase in rebuilding and redevelopment has certainly been reflected in FBP’s stock price. The stock is up more than 80% in the past 12 months. That’s pretty spectacular for a financial stock. And there’s plenty more to come, given the fact that this A-rated stock is still trading at a trailing P/E of 12. Intuit Inc (NASDAQ: INTU) is a software development company that is best known to consumers — especially this time of year — for TurboTax. It also owns QuickBooks which is a suite of financial and business tools geared toward small businesses. It allows small business owners a place to do payroll, sort out taxes, integrate all the accounting inputs and even market and hire. INTU’s other division sells similar products that are focused on professional accountants and larger businesses. But the real growth potential is in the products focused on small businesses and consumers. In this gig economy both tools are increasingly popular and their brands have a commanding presence in the market. As the economy grows, so will INTU’s fortunes. It’s up 51% in the past 12 months but only trades at a trailing P/E of 46. 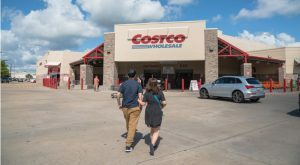 Costco Wholesale (NASDAQ: COST) is the Land of Giant Portions and a great favorite for small businesses and consumers alike. Last year, Costco was doing well. It tends to reflect the broader economy, so when the economy is chugging along, so is COST. But in December, it hit the same wall most consumer stocks did. Worries about growth moving forward and all the feel-good valuations up to that point disintegrated. However, COST came roaring back like it was a beaten down semiconductor stock. At this point, its 12-month return is 32% and its trailing P/E is 31. COST should have a strong year, with decent growth ahead and wages improving. That means more people shopping and spending. Mastercard (NYSE: MA) is one of the leading and oldest payment processing companies out there. Now, a decade ago, I would have likely called it a credit card company. My how the world has changed. Granted, MA got started as Interbank in 1966 and landed on its current incarnation in 1979. Remember, back then, if you were traveling, you couldn’t just whip out a card and buy things. Banks and their merchants needed to be interconnected so that your card could charge a dinner at a California restaurant even though your bank was in Kansas. The credit card was a revolution at the time. Just as electronic payments are today. And now that national transaction has given way to international transactions that are all done without cards at all. This history and brand recognition is what has propelled MA in this new financial services transformation. It’s up 35% in the past 12 months, but this new financial digital world has only just begun. Texas Pacific Land Trust (NYSE: TPL) has been around since 1888, when the Texas and Pacific Railway went belly up. Obviously, at the time, railroads owned huge amounts of land so they could develop their lines. And the Texas and Pacific was no different. Also, given its name, most of this land was in west Texas on the way to the Pacific. At the time of its demise, the railway owned 3.5 million acres that was transferred to TPL. Today, TPL still holds about 900,000 acres of this land, which still makes it one of the largest landholders in Texas today. Fundamentally, TPL leases the land to companies that are either energy firms (not just oil and natural gas but wind and solar farms as well) or water companies and it takes those rents as its revenues. This is a solid business in slow times. But in good times — like now — it promises some big gains. TPL is up 47% in the past year and 71% in just the past 3 months, so momentum is growing significantly in 2019. Article printed from InvestorPlace Media, https://investorplace.com/2019/03/7-a-rated-stocks-to-buy-in-the-second-quarter/.